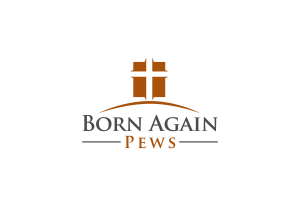 Our custom pews are in churches all over the country—we’ve even sent a few pews to churches overseas! 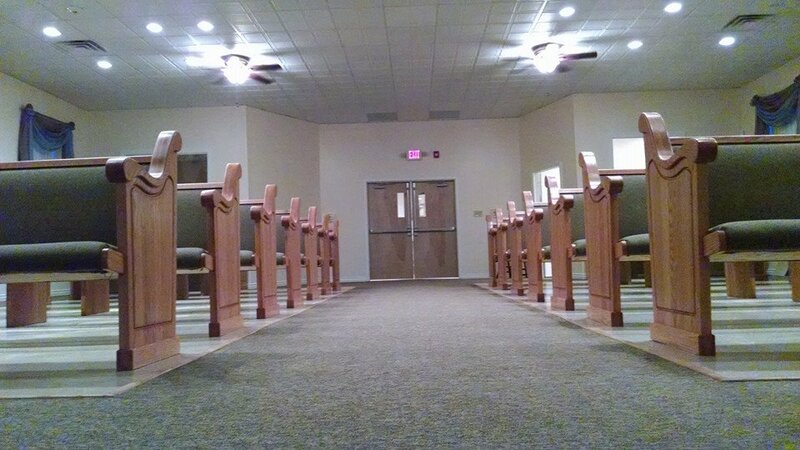 We’re pleased to show you a few pictures from a recent church pew installation in Vineland, New Jersey. Vineland is a small city in New Jersey, near Pennsylvania. Founded over 150 years ago as a temperance town where the sale of alcohol was banned, Vineland has a long history of making positive contributions to the United States. Today, Vineland is investing money in economic development to grow their Main Street community. Vineland was founded by Charles K. Landis when he bought 20,000 acres along the Pennsylvania and started his utopian, progressive, agricultural society. The fertile lands that surrounded Vineland lead to a huge amount of growth, including the founding of Welch’s Grape Juice, a glass-making industry that Progresso Soup called home, and a huge poultry industry that gave the town its first nickname: The Egg Basket of America. Research on fowl pox also produced the first vaccine that saved chickens from the virus and helped make a “chicken in every pot” a reality. 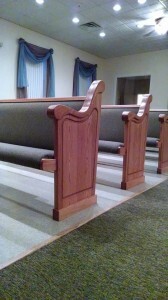 We were happy to work with one church in Vineland to install new church pews to better serve their church community. These church pew ends are made out of solid oak, like all of our church pews and benches, and have a contemporary look with a traditional leaning. It’s the perfect fit for Vineland’s long history. When you’re selecting your church pews, think about your church and community’s past. It can help you make great choices about what kind of church pews are right for your church congregation. These church pews also display where the church wants to go in the future as a welcoming community that encourages others to join their church community. If you’re unsure how you can incorporate the ideas behind your church into church furniture, give us a call and we can help.